When considering any one individual’s significant accomplishments and contributions to popular culture this past year, one needs to consider three aspects of them: influence, impact and importance. With 2015 being such a year chock full of well-publicized happenings and viral achievements, sifting through the cream of the cultural crop and picking out just one singular, critical entity that ruled this year was definitely an ambitious, if not onerous, task. But after much careful consideration, there was one figure that managed to beat out the Kendrick Lamars, Drakes, DJ Khaleds, Bernie Sanders, Pope Francis, Caitlyn Jenners, Kanye Wests, or anyone else of the Kardashian ilk. And though each of the aforementioned names’ triumphs should be celebrated in their own right, none had put their indelible mark on 2015 than the omnipresent and omnipotent sensation otherwise known as, Crying MJ. Who would have ever known back on September 11th, 2009 that what transpired on the night of Michael Jordan’s Basketball Hall of Fame enshrinement speech would somehow transpose into unmatched relevance six years later. I doubt none in attendance then, not even Jordan himself knew that his emotional speech that night, rife with oddly compelling tears, would permeate every fiber of 2015’s cultural fabric. And though Jordan’s accolades to that point were pretty much expected due to his dominance in his sports career, the Jumpman himself couldn’t have predicted those very Hall of Fame tears to invoke our own tears of laughter and enjoyment this past year. 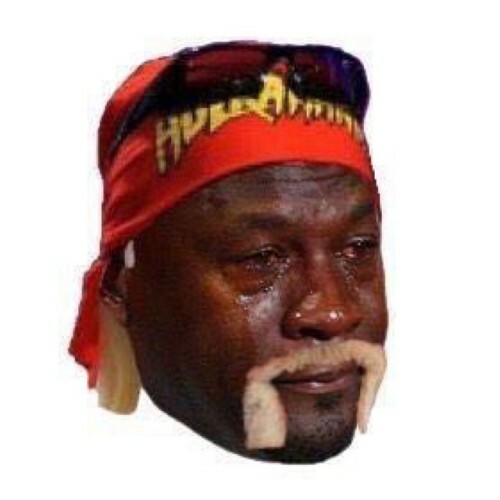 Hulk Hogan got caught slipping using the “N” word? Roasted. 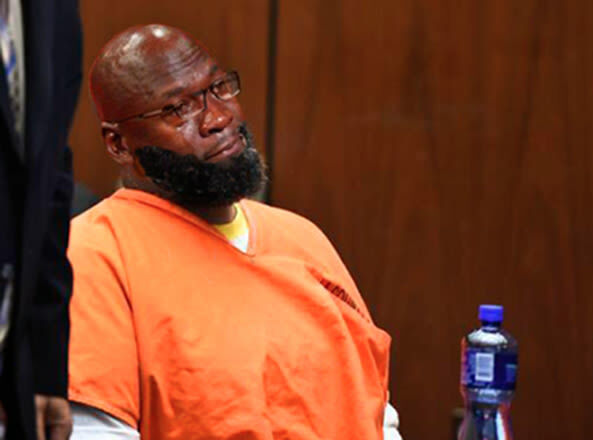 Suge Knight catches a serious case? Say no more. Curious to see the New York Knicks’ fan’s reactions to another L? Here you go. 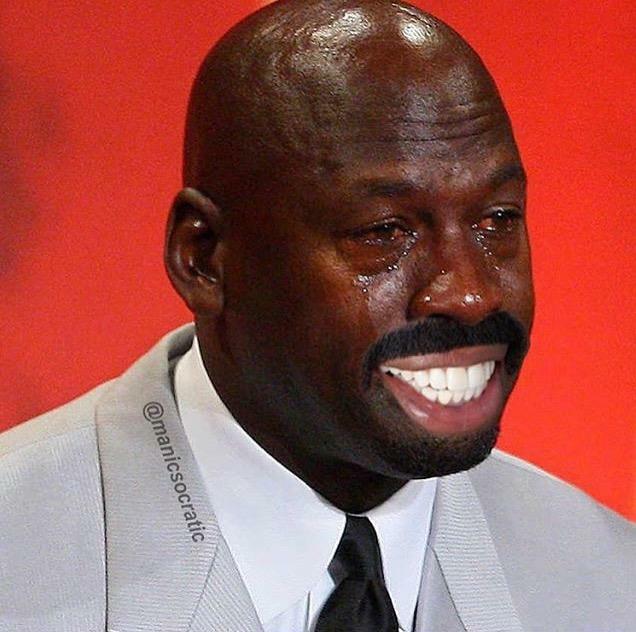 Steve Harvey breaks the internet with his Miss Universe gaffe? MJ got you. Lied on your resume about being proficient in Quickbooks? Refer to the picture above. Simply put, there really is no denying how critical Crying MJ’s presence has been in 2015. Which brings us to our three criteria of influence, impact and importance. You thought Mike was major through his basketball sovereignty and personal brand supremacy? Wait till he becomes a viral force of nature. Arguably every roast-worthy happening in 2015 were touched by the tears. Want to know if the L you caught was worth giving a damn, tasting the salty excess of His Airness’ eyes would be a good barometer for that. Crying MJ you were the most lit presence in a year filled with Backdraft levels of lituations.You fanned the flames of fire memes, graced us with a simple, yet effective method of roast and flexed the almighty power of what the internet’s scathing and creative wit can do for an otherwise less-meaningful photo or entity. How your tears’ became so influential, one can simply explain with one of your patented shrugs. 2015 was yours, Crying MJ, completely washed over in the briny saline of your emotions.